Urinary Tract Infection (UTI) is defined as a chronic bladder condition recognized as recurring discomfort or pain in the bladder or surrounding pelvic region. Patients with urinary tract infection have inflamed or irritated bladder walls, which can cause scarring and stiffening of the bladder. This disease can affect any individual, although, it is more prevalent in women than men. This disease is a chronic bladder problem; the urinary bladder holds urine when the kidneys have filtered it but before urine passes out. In this condition an individual feels pain and pressure below the belly. Urinary tract infection affects kidneys, ureters, bladder, or urethra infected with a pathogen mostly bacteria. Urinary Tract infection most commonly occurs in females; about 50% of all females get diagnosed with UTI during their lifetime. In most cases, Urinary tract infections are not serious, but if the infection reaches the kidneys, severe illness, and even death, can occur. Symptoms can be for a short or long duration or may be constant. UTI, results in urgent, often painful micurition. Doctors say that Urinary Tract Infection has a wide range of signs and symptoms. If you have urinary pain that lasts for more than 6 weeks and is not caused by other conditions like infection or kidney stones, you may have a problem of Urinary Tract Infection. The disease affects social life, exercise, sleep, and even your ability to work of an individual. Despite this, you can still arm yourself with the facts and treatments to keep symptoms in check. A feeling of urgency to urinate. Feeling of abdominal or pelvic pressure. 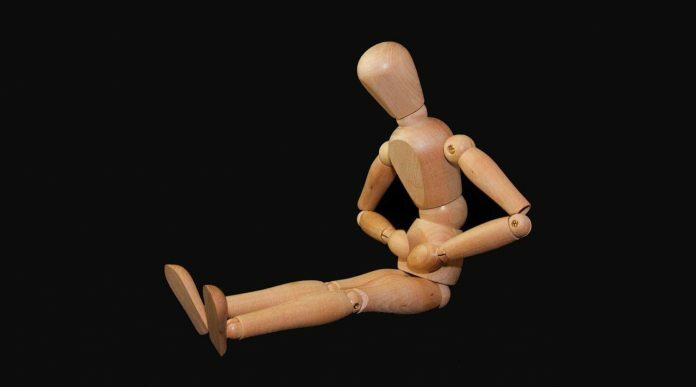 Intense pain in the bladder or pelvic region. Severe lower abdominal pain which escalates the urinary bladder when fills or empties. During urinary tract infections, doctors advise to drink lots of water as it helps in the removal of toxic materials from the body. But there are certain foods which are recommended and avoided during pregnancy. Following are some of the foods recommended by the doctors as it helps in preventing the urinary tract infection. 1) Cranberry juice: – This is most often suggested by doctors as it is a rich source of antioxidants, Vit. C and salicylic acid. Proanthocyanidins in cranberries can help you in preventing the bacteria from getting in touch with the walls of urethra causing UTI. Research indicates that cranberry juice has a mild antibiotic effect, helps in preventing the pathogenic condition of urinary tract infections. 2) Probiotics: – It is generally advised by the doctors to include dairy products, like curd, milk, etc. as it helps in combating with urinary tract infection. 3) Vitamin C Foods: – It includes the citrus fruits, and oranges, guava etc. helps in the treatment of urinary tract infection. 4) Non- sugary Foods: – Sugar rich foods like cakes, puddings, ice-cream, etc. are suggested to avoid as it can irritate the urinary bladder and deteriorate the condition of UTI. Following are some of the foods which should be avoided as it is known to aggravate the condition. 1) Tomato Products: – Tomatoes have high acidic content can cause irritation in the bladder. Chutneys, ketchups, salads are suggested to avoid. 2) Coffee and Tea: – Females are more prone to Urinary tract infections, compared to males as they have shorter urethral canal. Patients with urinary tract infections are suggested to avoid caffeine products like tea and coffee. Tea and coffee intensify the UTI symptoms. The caffeine irritates the bladder and bacteria sticks to the lining of the bladder. Caffeine increases urge to urinate results in burning and pain during urination. Doctor’s advice to avoid Coffee and other caffeine products until the symptoms has subsided. 3) Chocolate: – Females are mostly fond of Chocolates. But do you know consumption of many chocolates in urinary system infection can aggravate the condition. 4) Alcoholic beverages: – Alcohol or carbonated beverages like cold drinks or aerated drinks can irritate the bladder and complicate the conditions. But apart from it, plenty of fluids, antibiotic, analgesics and urine alkalinizers are prescribed by the doctors. To detect the pathogenic condition of Urinary Tract infection, doctors suggests for Routine and Microscopic Test of urine.